Do you want to make the switch to LiveU? Contact an EAR product specialist today for a personal test drive with the new LU300 HEVC! Contact an EAR product specialist today for complete details or call 800-473-6914. ** Special Pricing and Programs for Schools of Journalism & Broadcasting!!! 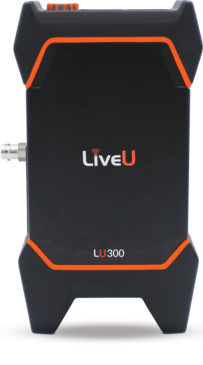 More About LiveU: You may have heard about LiveU products, powerful compact tools that can help you stream like a pro. That’s why the majority of live broadcast content worldwide uses LiveU. Take a closer look in person or virtually and see what it can do to help you get better quality live streams from anywhere – without needing a huge crew or large budget. With LiveU’s complete family of 3G/4G bonded uplink products, more options are available for live news and event coverage. All LiveU products connect with LiveU’s Central, enabling control rooms to manage multiple incoming video feeds and content simply and effectively from units operating in different locations. The LiveU product line ranges starts at under $1,000. More about LiveU applications. Contact and LiveU product specialist today at 800-473-6914 an get up and streaming tomorrow! Checkout their entire line of LiveU products.